Our goals are: * To produce beautiful cats in conformity with the Siberian standard * To use only the lowest allergen cats in our breeding lines * To maintain vigilantly a hearty, healthy group of cats, and only sell kittens in top health with a genetic guarantee * To produce kittens with friendly, delightful, and characteristically Siberian temperaments. We are an award-winning cattery based in Milwaukee, established since 2006. To have an objective opinion on whether we are reaching these goals, we regularly participate in shows and in the cat fancy community. Our cattery and cats are all registered with TICA. Our cats have achieved Best in Show and TICA Awards of Excellence. SHOW QUALITY and pets AVAILABLE NOW. We are a small family breeder of the beautiful Siberians located near Historic Cedarburg, north of Milwaukee. All of our Cats are kept in our home and socialized with our dogs, family members and lots of children of all ages. We breed for hypo-allergenic qualities, health and personality. We continue to have a variety of colors and do have color points regularly. Our magnificent Siberians are designed to be your favorite pet. They each have a unique personality from sweet and calm to a “tornado” nicknamed by my daughters but they are all so loving with amazing doglike qualities. 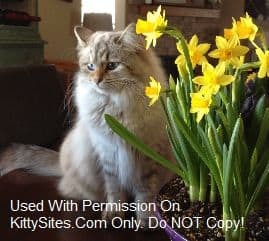 Anya Siberians – We are a small home cattery with an emphasis on health, low allergens, and great personality with our kitties. 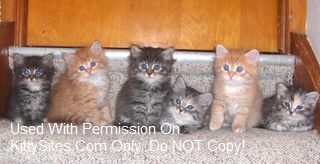 Heavnzsent Siberians – Heavnzsent Siberians is a small cattery in southern Wisconsin which was established in 2007.